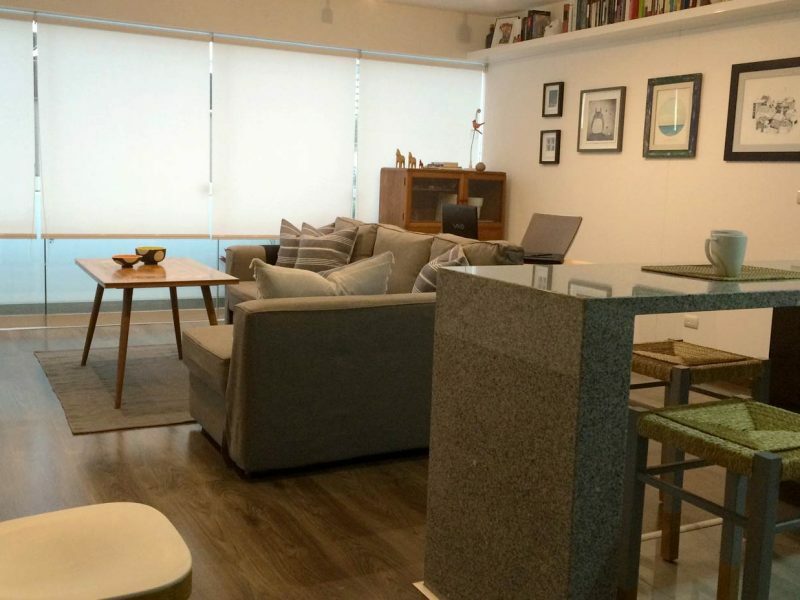 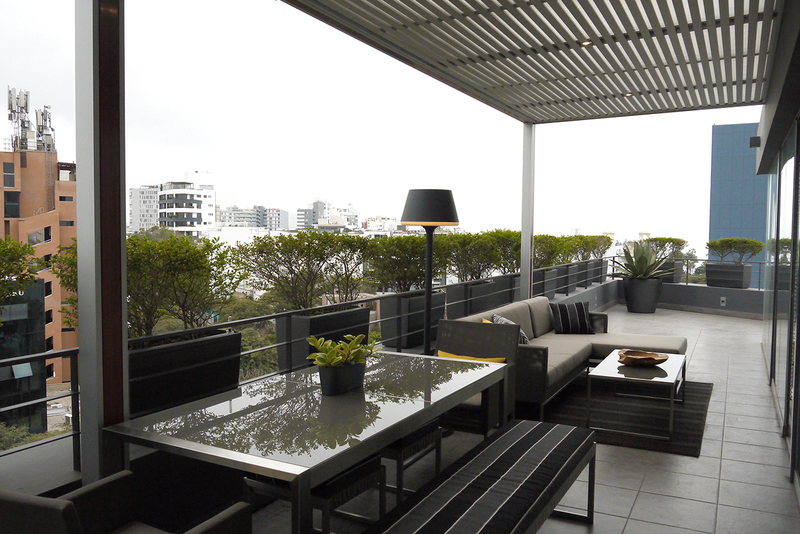 This amazing terrace in the second floor spanned the entire house. 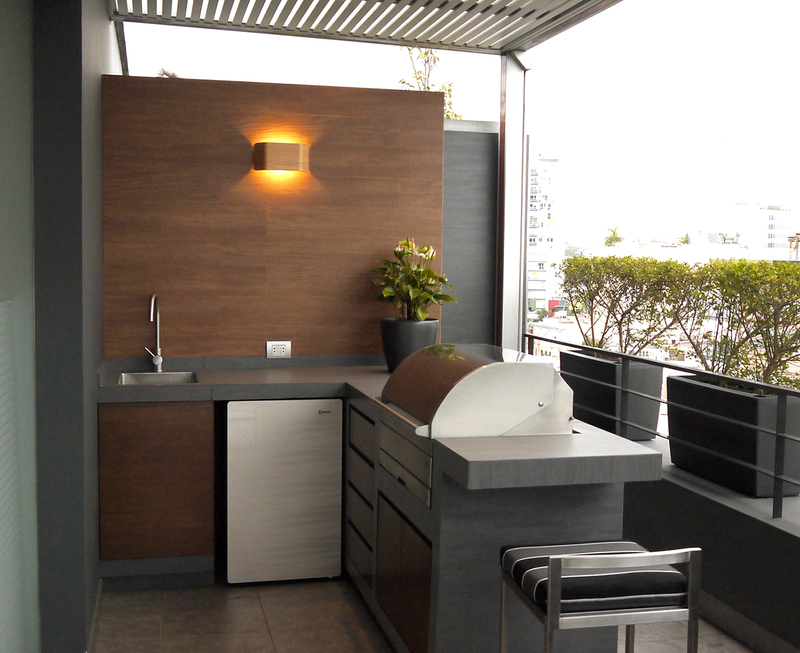 To make it completely independent we included a bar, BBQ zone and a shower. 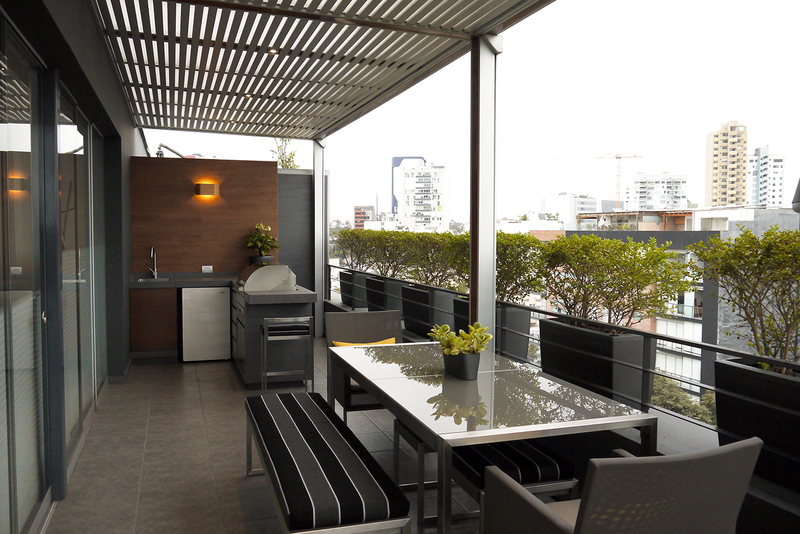 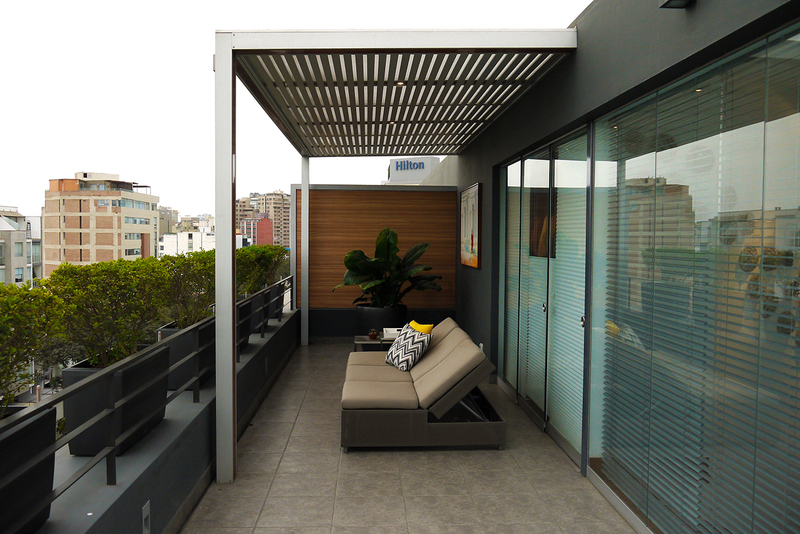 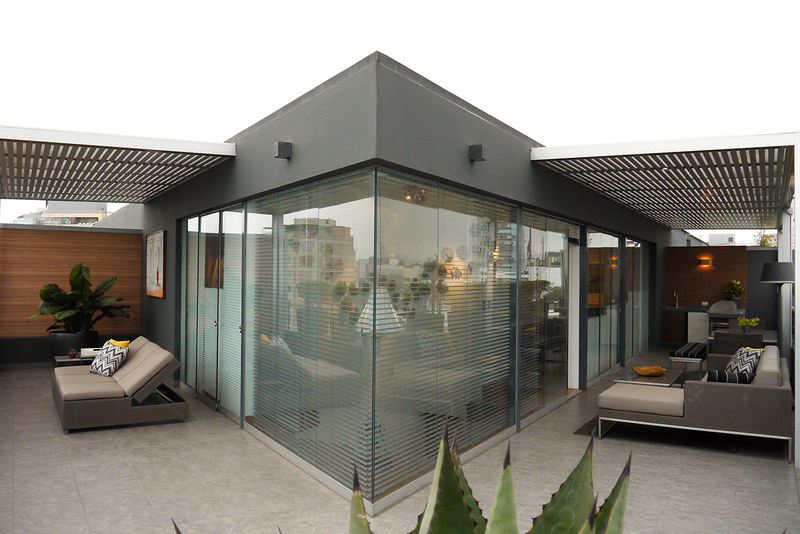 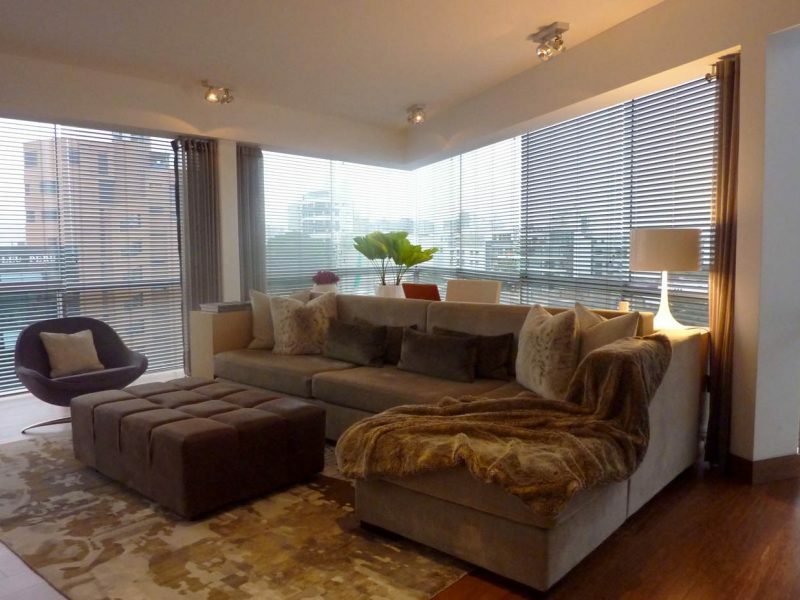 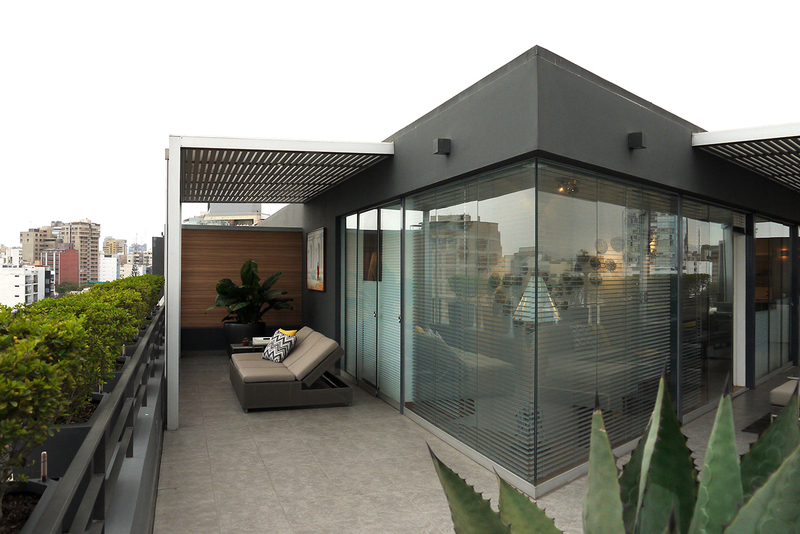 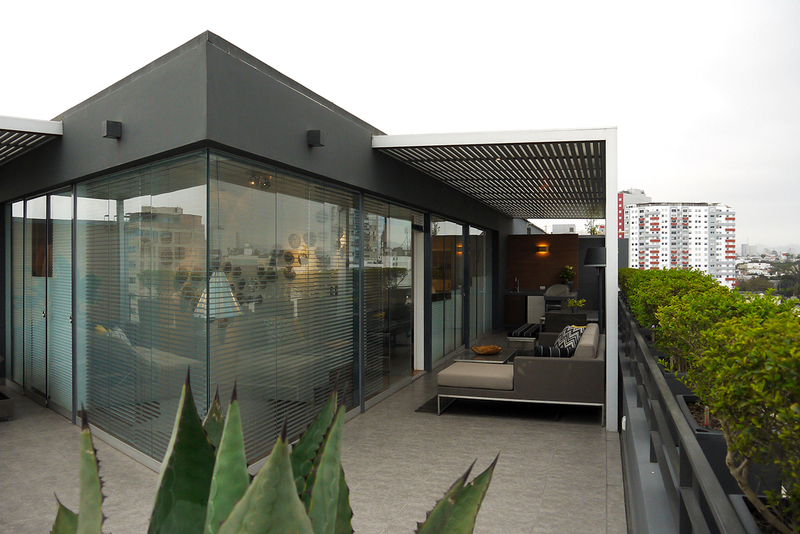 Two big aluminium ceilings, designed by Arquimsa, provide cover from the sun and the humidity of the Peruvian capital. 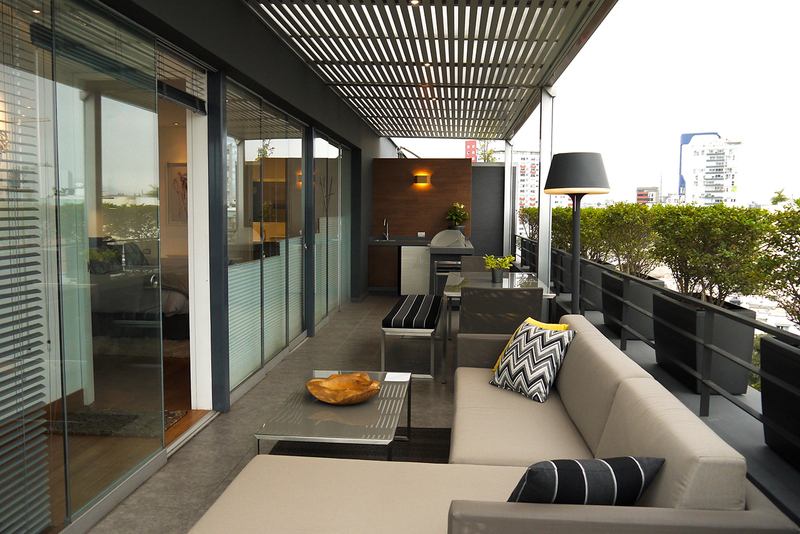 To make space for the columns of these two porches, we had to move the rails from the floor to the low wall. 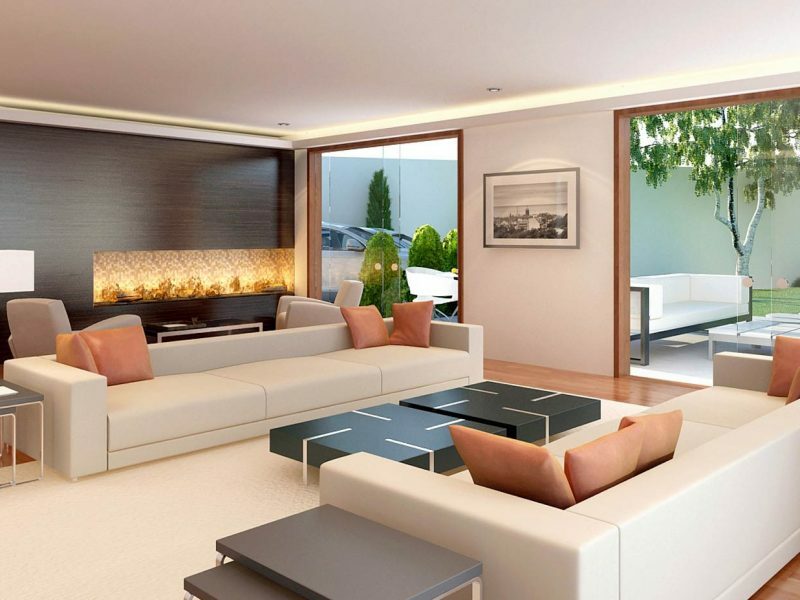 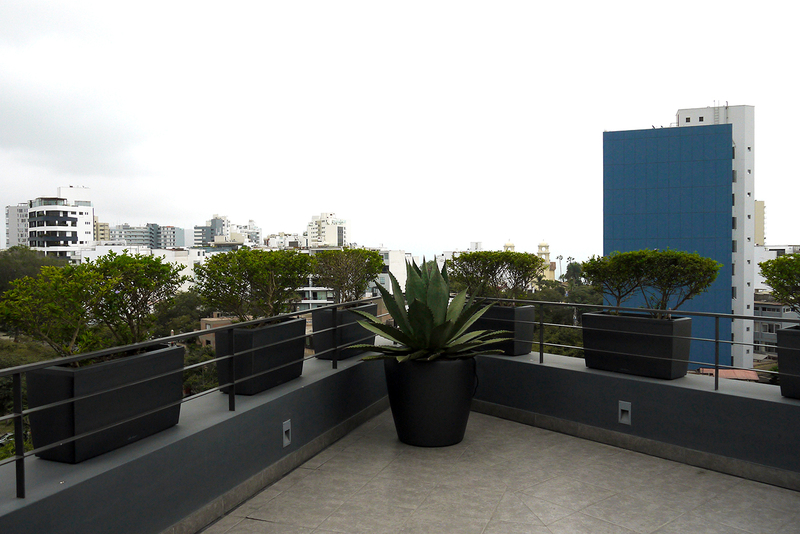 Big modern self-regulating planters from Lechuza helped us to give privacy to the hall area.